Until halfway through the XIXth century we can find Orta in all the documents, measure systems and on the façades. Later on, the “H” starts appearing in official documents until HORTA becomes the official name. In 1910, the Geographic Institute let the villages with similar names add a “surname” to be able to be distinguished. The Town Hall of Horta chose the name: HORTA DE SANT JOAN. Sant Joan is the village patron. Picasso was in Horta at the end of the XIXth century and at the beginning of the XXth, too, when the village was known as Horta, the same as a village near Barcelona (a district of the city nowadays). When Picasso wanted to distinguish them, he called our village HORTA DE EBRO. 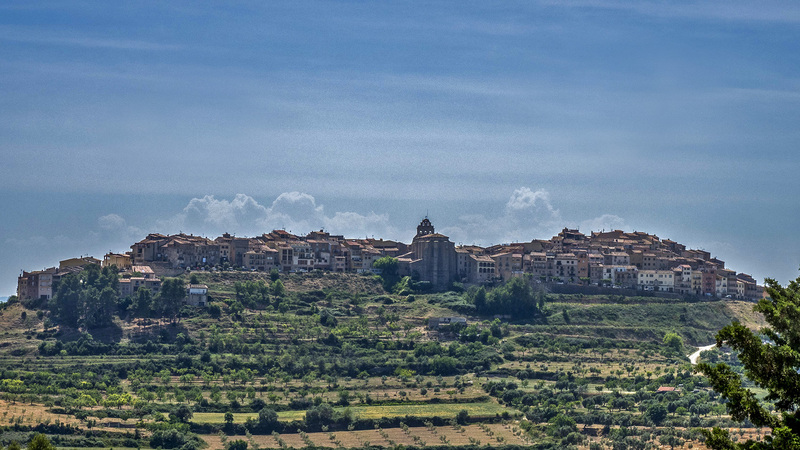 During the Second Republic (1931-1936) the official name of the village was HORTA DE LA TERRA ALTA. At present, the official name is HORTA DE SANT JOAN, although people just say HORTA. But we want to recover the old name, ORTA. That is why we use it in cultural activities. ORTA is the name used and defended by Mn Manyà, one of the most prestigious intellectuals in the Ebro Lands. Where does the village name come from? There are different theories. Some of them go back to the Ibers, but none of them are definitive. The unknown factor is not the “H” because the Catalan spelling rules don’t appear until 1913; therefore there wasn’t any rule about the fact of writing it with or without the “H”. The day we could find out the origin of the word ORTA, we will get the final explanation. What it seems to be sure is that the name of the village doesn’t come from the word “horta” (vegetable garden), as Horta de Sant Joan is a dry land.